Hmmm, Chelsea set up multiple email accounts under various aliases while working at the Clinton Foundation. Obviously, being corrupt is just the Democrat way. Internet trolls are being forced to do the work that the FBI and DOJ can’t be bothered to do. TGP: On Friday internet sleuth Kim Dotcom dropped a bomb on Twitter. Kim posted an email Friday showing Loretta Lynch using an alias to contact DOJ officials. 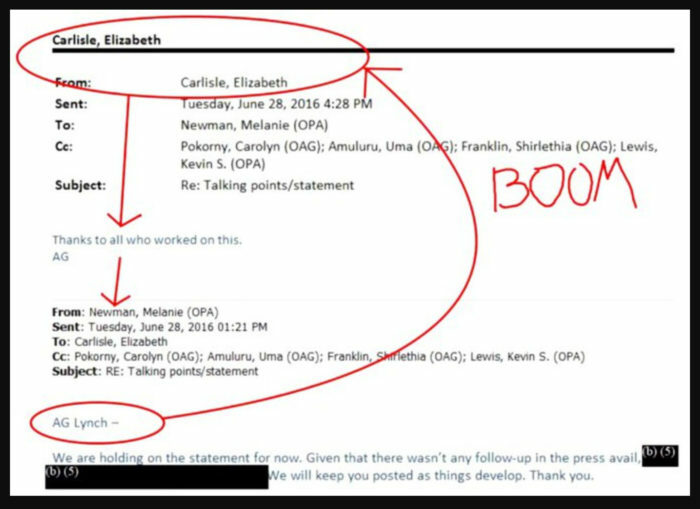 Now this… Reddit The Donald users discovered that Loretta Lynch used her grandmother’s maiden name “Lizzie Carlisle” as her alias. Loretta’s grandmother’s name is Lizzie Carlisle Harris. 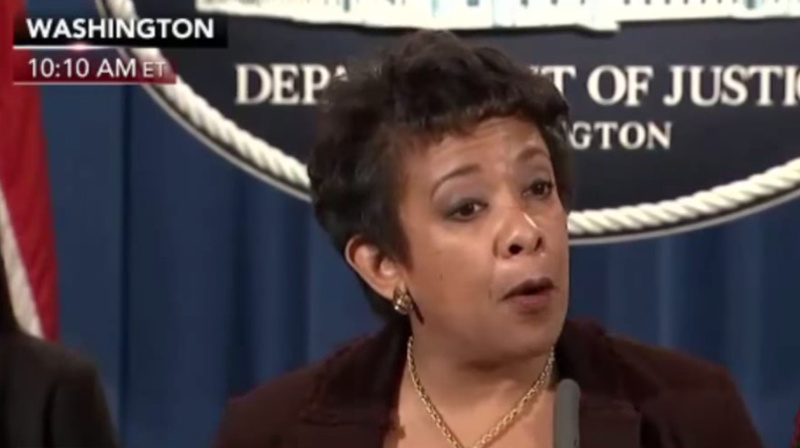 Loretta’s mother’s name is Lorine Harris Lynch. The socialist democrats are searching so hard for obstruction of justice… well here you go, folks, some obstruction of justice.